On any given morning outside of the Anaheim Convention Center one can typically see lines of tourists slowly making their way to the Disneyland theme park located just next door. Coffee in hand, fanny pack securely fitted to the waist, camera safely draped around the neck and the kids excitedly in tow. This is the archetypal character seen wandering down Katella Ave. on most mornings, but on March 6-9 the scene was quite different. Amid the sleepy tourists exiting their hotels into the harsh reality of the morning sun, were joggers weaving through the sidewalks wearing the best gear available. In the place of coffee cups many people on the streets were drinking water from eco-friendly canisters and eating power bars for breakfast. 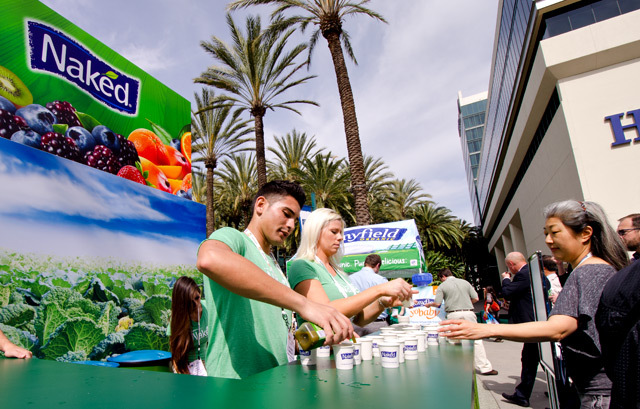 This stark change in demographic is a clear sign that the Natural Products Expo West is not just about sharing healthy products, its about sharing a healthy lifestyle. By the time the show opened on Friday it was already overwhelmingly crowded. By noon all parking lots were full and traffic was being redirected to the nearby Angels Stadium where a free shuttle was transporting people to and from the convention. The show felt a little bit like going to a Costco on a Sunday afternoon. It had a certain type of energy to it that is rarely seen at conventions in other industries. While there were a few large, elaborate exhibits by the big name brands that one might expect, the majority of exhibitors focused more on the marketing power of their products themselves, by handing out samples to attendees, who inched through the halls collecting snacks and product samples in tote bags like trick-or-treat for adults. 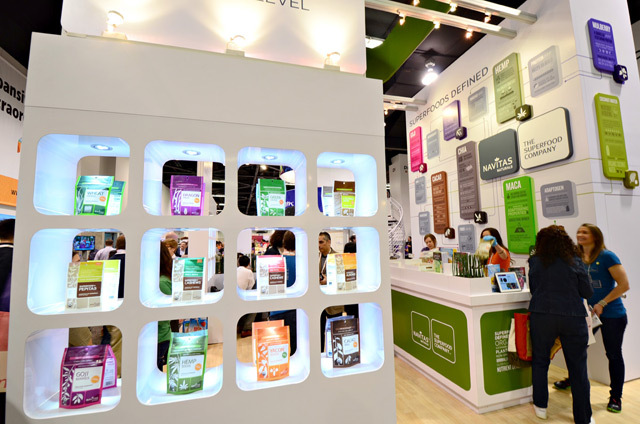 This year was an exceptionally good year for the industry and according to the Natural Products Expo West website, “The event grew five percent bringing together over 67,000 industry members, more than 2,600 exhibiting companies and the most first-time exhibitors in the event’s history.” This data reinforces an obvious and growing trend toward the natural and organic and the format of low-tech information relay and physical sampling that shows that bells and whistles can’t trump the power of the goodness of natural products in creating brand awareness to potential buyers. One reason that this convention is successful in marketing an entire lifestyle is that the industry it represents is really a collection of natural products from many different industries, mostly exhibiting in a very similar way. On the one hand you have manufactured vitamins and nutritional products from companies like Super Natural Distributors, Doctor’s Best and Vita-Tech. 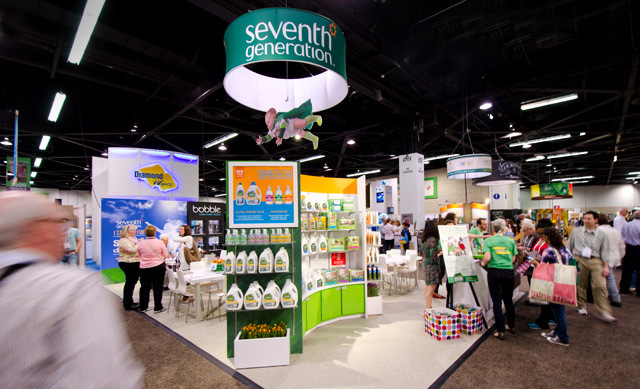 These types of companies were less likely to be handing out samples due to the nature of their products and services and had more traditional looking trade-show booths but they did still follow suit with a very simple and straight-to-the-point approach to their exhibit marketing. The food companies made up the largest portion of exhibitors at the show and they were all about giving away free food and drink to the eager attendees. 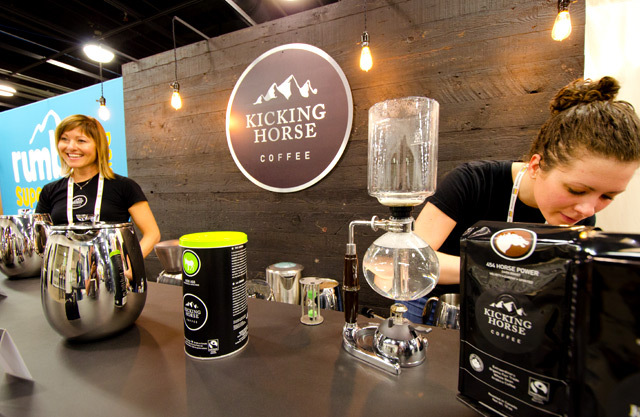 Some examples are Naked Juice, who had an outdoor sampling station as well as an indoor booth, Izze Soda company, Kicking-Horse coffee and Navitas Naturals. These were the most heavily attended types of exhibits as one might expect. There were some unexpected outliers as well, though. For example, the consulate of Malaysia had an exhibit to market Malaysian cuisine and products in America. 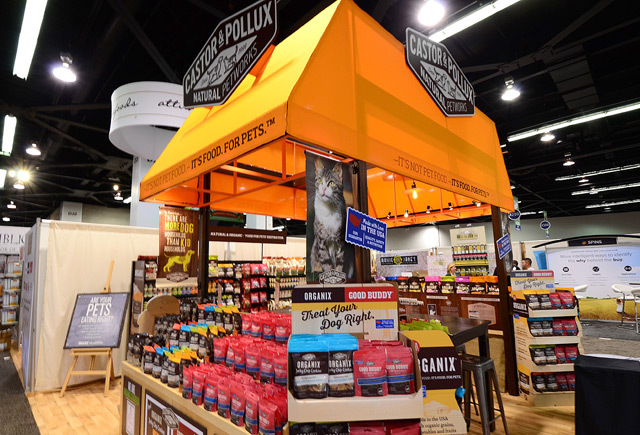 Castor and Pollux pet food company was there promoting their natural products and there were an abundance of companies such as Seventh Generation, promoting their lines of natural soaps, cleansers and cleaning products. Walking through the halls of the convention center during the Natural Products Expo West is a reminder that a natural and healthy lifestyle is a holistic thing. This show reinforces the trends happening in the world of natural products. A heavy influence on chia and kale was obvious as well as products made from natural coconut and vanilla and the always popular gluten-free and naturally flavored foods. The attendees themselves looked and dressed in a way that relayed this message of a more healthy lifestyle and the growing numbers at this year’s show is an indicator that the influx of natural products into every day life is not just a temporary trend but a viable and booming industry. 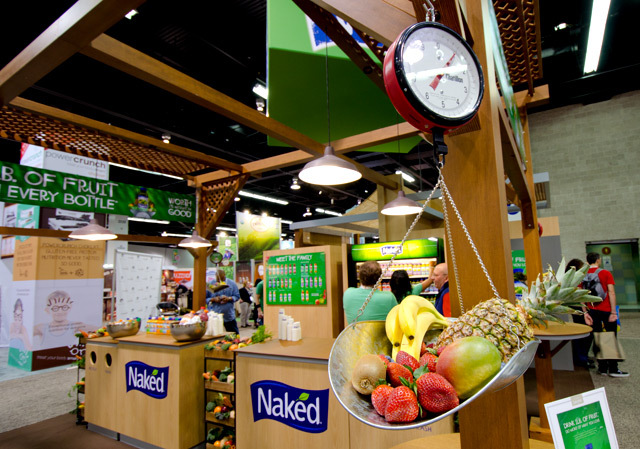 DisplayWorks is proud to support numerous clients at Natural Products Expo West every year. Our headquarters’ close proximity to the show in Orange County allows us to offer local convenience and cost-effective support to clients attending the show. If you’re an exhibitor looking for a booth design, exhibit rental, creative promotional ideas or strategic marketing solutions at this show in the future — we’re here for you! 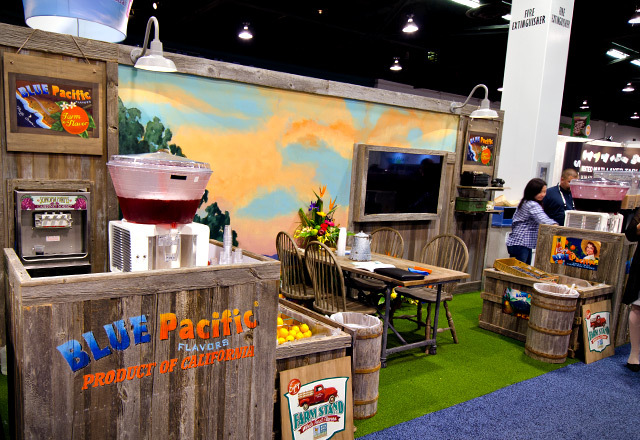 This entry was posted in Events, Exhibit Design, Exhibits, Marketing, Orange County and tagged Anaheim Convention Center, Attendee Engagement, CES Exhibit Design, Exhibits, Natural Products Expo West, Trade Shows, Tradeshow Displays. Bookmark the permalink.